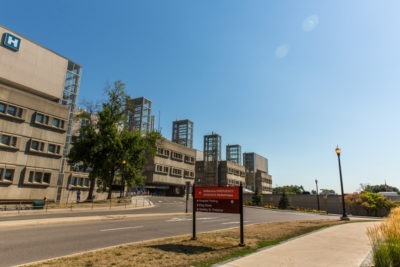 McMaster Children’s Hospital (MCH) recognizes that children, youth, and families may experience mental health crises which require prompt attention. We are committed to ensuring all children and families have access to emergency mental health care, when they need it. Working alongside the emergency department, the mental health program has a specialized team of clinicians who provide emergency mental health care to youth 17 years of age and younger in the Mental Health Assessment Unit (MAU). The MAU is a short-term assessment unit that provides emergency mental health risk assessment, referral to community services and/or recommendations for follow up care. What will happen in the Emergency Department (ED)? All children/youth presenting with a mental health concern to the emergency department will be seen by a physician, and often an ED social worker. In some cases, the child/youth will require an additional assessment by the mental health team. If this is necessary, the child/youth is referred to the Mental Health Unit (MAU). Not all patients presenting with mental health concerns will be seen by the mental health team. Will I be seen by a psychiatrist? Children and youth referred to the mental health team will initially be seen by a clinician who can either be a nurse, social worker or psychologist. Clinicians review every patient’s situation with a psychiatrist to create a plan of care. Only in some cases will a psychiatrist directly see a patient in the MAU. How long will I stay in the ED? Our goal is to ensure all children and families return home safely as soon as possible. It takes time to gather all necessary information and to coordinate follow up care. If required, as noted above, some children are admitted to the MAU before they can return home. However, most patients leave the emergency department within a number of hours of presenting to the hospital . Will I get faster access to community services by visiting the ED or MAU? Access to most community services is managed by a central access agency in each region. The ED and/or MAU will ensure adequate communication with this central access agency who will determine prioritization based on the information provided from the care team. This may or may not change the timing of accessing services. As a caregiver, what support will I receive in the ED? MCH takes a family centered approach to all aspects of care. This means we involve families and caregivers as much as possible. This includes hearing your perspective and providing you with as much education as possible. Knowing that the emergency experience can be busy and overwhelming, we also offer weekly caregiver sessions allowing you to learn further on how to support youth and access valuable resources. I’m not sure if I need to go to the ED. Who else can I call?